Of course, even if Long is going to see most of his time inside in a 3-4, the way the NFL is going, pass coverage is going to be a crucial part of what he is asked to do. 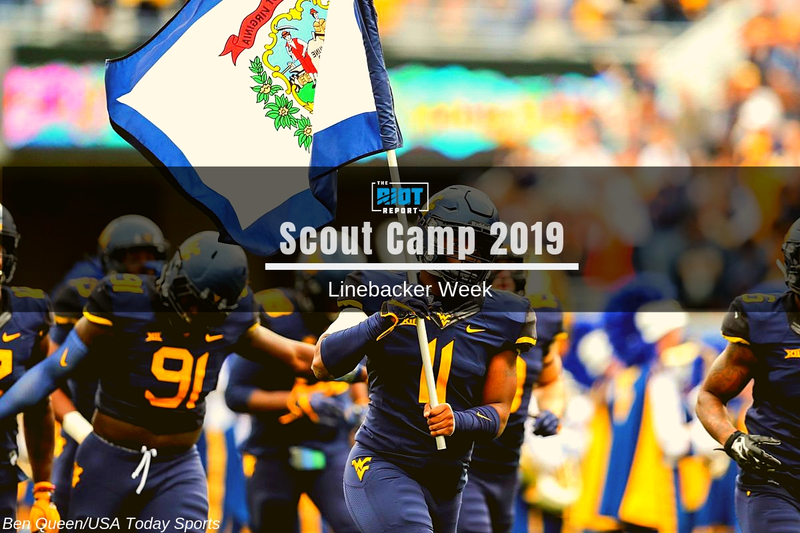 West Virginia played almost no man coverage last season, at least not with their linebackers – so this is very much something that teams will need to test with Long in workouts – something to keep an eye on as the offseason progresses; so the focus of his coverage here will be on zone, which is probably where a lot of his value will lie should he play inside in a 3-4. Long really wasn’t asked to do very much in coverage at West Virginia, and his coverage potential is by far the biggest concern about his game, but the movement skills he showed in space offer some hope that with coaching he can be a plus coverage player, especially in zone, though any team looking to draft him early should look to probe this extensively in pre-draft workouts. This is another area where Long wasn’t really pushed at West Virginia, though given his ability to dip and bend past blockers as a run defender there should be some hope that this is something he has potential at. In summation, Long is one of my favorite pure run defending linebackers in this draft, even with the few missed tackles and jumped gaps; he could add value to most teams from day one as an early-down inside linebacker. The big question for him will be where his ceiling lies in coverage and how much he is able to improve in this regard. If he can use his athleticism well in space, then combined with his potential as a pass rusher, he could offer an interesting multi-tool for any team that is willing to move him around to maximize his value on a given play. For the Panthers, Long is probably the richest they could foreseeably target a linebacker, with his draft stock currently lying early on the final day of the draft, but if they are determined to incorporate a number of 3-4 looks into their 2019 defense, Long could offer value as an inside linebacker on early downs who could then move outside on passing downs.